I was in Capri, Italy, I noticed this big, iron door. 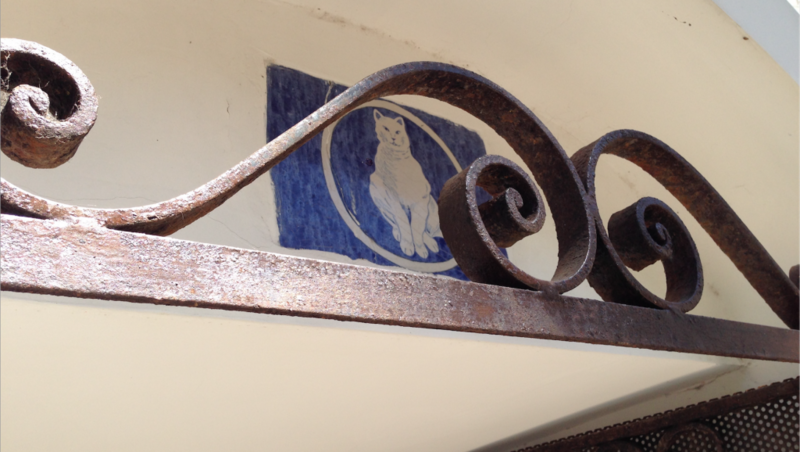 It had a metalwork white cat on it and the words “gatto bianco” – Italian for “white cat”. 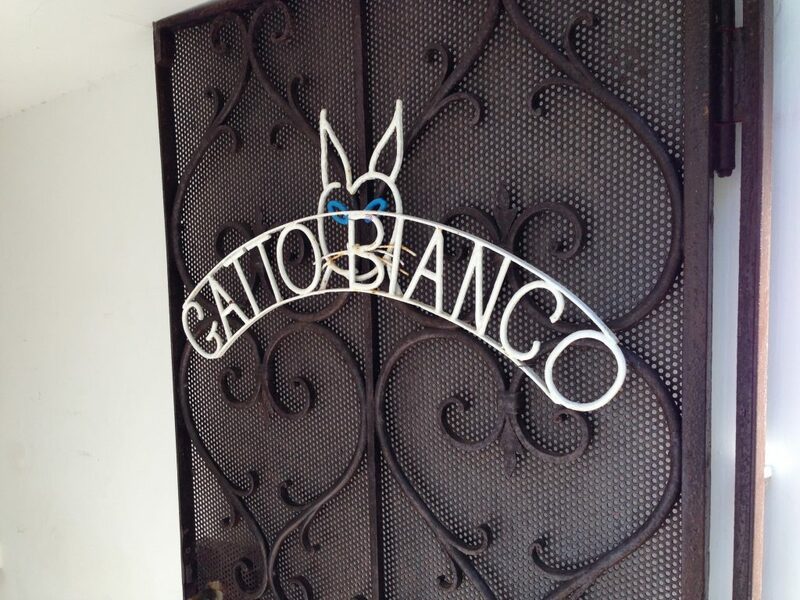 Turned out that behind the door was a hotel called “Gatto Bianco”. Some Internet research taught me that ever since the hotel was built, a white cat has been part of the staff. The hotel’s current mascot Matisse can usually be found in the lobby, waiting to be pet by cat-loving tourists. Do you have some decoration in or around your house that refers to your cat? Did you ever make a piece of art that refers to your beloved feline? Let me know! Giving your cat milk, a good idea? Copyright © 2019 lucas and cats.